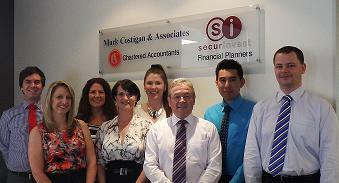 At Mark Costigan & Associates we take pride in providing quality business, accounting, taxation and financial planning advice to a large range of individuals, small businesses and corporations. With over 30 years in the profession, our principal, Mark Costigan brings a wealth of experience, knowledge and personal attention to assist you with your business, taxation and financial planning needs. At Mark Costigan & Associates we employ qualified accounting personnel and we have a strong commitment to continuing professional education to ensure we maintain our knowledge and are able to provide quality up to date advice.